It might be week three, but this is the second edition. No excuses, I simply forgot to do it last week. 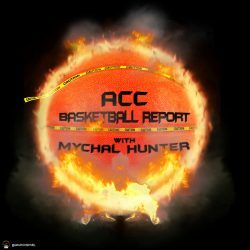 In week 1 I had a top five of Duke, UNC, Virginia, Virginia Tech and Miami. Yeah, that is gonna change. The Cavaliers are #1 because they didn’t lose this week and the others did. Tony Bennett’s squad went to Atlantis and brought back the hardware, beating a Wisconsin team that looks to have been underrated in the preseason. According to Kenpom, Virginia has the #13 offense and #2 defense in the country. When people tell you they hate watching games in the 50’s inform them that Virginia averages 73 points per game. The Blue Devils just played the game of the year so far in the 2018-19 season against Gonzaga. Unfortunately for Duke fans they came up short. I would really hate to be Indiana this week, who has to travel to Durham for the ACC/B1G challenge. Carolina might win by 30. Duke scored 87 points, grabbed 22 offensive rebounds, turned the ball over only ten times and made 20-26 free throws against Gonzaga and lost. Any other time in the season that’s an easy win. The Tar Heels ran into a hot Texas team this week and didn’t have an answer for Kerwin Roach. They bounced back against UCLA so not all is lost. In his last 3 games, Coby White has averaged 22.7 points, 4 assists and is shooting 56% from deep. I am still of the opinion that this is the most complete team in college basketball. The more minutes everyone logs the better this team will be. The Seminoles just lost to Villanova a few minutes ago. I am not deterred, this team is for real and they aren’t even at full strength yet. Phil Cofer should be back before Christmas as then we are going to see what they can really do. Leonard Hamilton already owns wins over Florida and LSU and will get a shot at Purdue, UConn and Saint Louis before conference play. Those would all be nice out of conference wins. This looks like an elite eight team. The Hokies fall one spot, but only because I really like what I see from Florida St. If they were to play right now I think FSU would take VPI down. If Buzz Williams’ crew was at full strength with Clarke and Nolley, I might feel differently. Winning the Charleston Classic was impressive. I think they lose that game against Purdue last season. They go on the road for the ACC/B1G challenge, but it’s only to State College. I expect the Hokies collect a pretty easy win. December 15th will tell us if this team is for real or not when they hit the road and go to Washington.